Microsoft has recently unveiled the latest version of its operating system, Windows 8. Microsoft with Windows 8 launch has attempted to successfully shift to world in which computing is increasingly touch-driven. Seeing the growing competition and success of Apple’s App Store and Google’s Android Market, Microsoft’s this attempt to give an app-driven experience might be its ‘only’ opportunity. 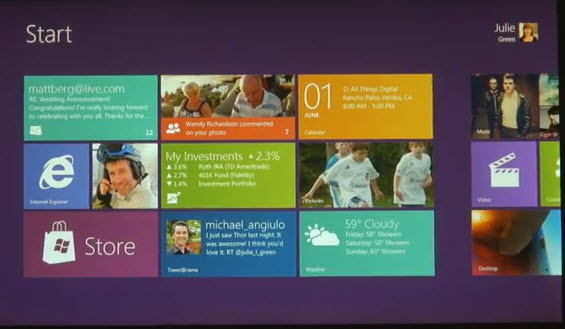 Windows 8 is, being considered as the biggest product launch in the history of Microsoft. What Windows 8 holds for you? Windows 8 provides unparalleled reach across a range of devices, from touch-centered tablets to high-resolution laptop and desktop PCs. It has brought numerous benefits for users. For instance, with Windows 8, the content becomes primarily important as operating system fades to the background. This helps the readers to concentrate more on the content. Next, Windows 8 has brought an app, which allows you to bring the prestige of your brand by showcasing live tiles, splash screen, logo and many more things on the app. App creators are offered customization features for branding purposes, and, in addition to integration of pre-existing ad solutions, all apps are supported through video, display, sponsorship, and in-app advertising, providing publishers with a new form of revenue that is both player and format specific. Things that used to take a lot of different programs now flow together in one simple experience, with Windows 8. However, it is worth to note that without a critical mass of consumers, developers have little incentive to produce those apps. Also, though, many consumers might be using Windows 8 in near future but they will surely delay upgrading. These are some of the risks that are being associated with Windows 8 and its future. Finally, to see whether Windows 8 succeeds or falls short will be interesting. However, for now, the overall success of the operating system, Windows 8, is yet to be determined.